"We found our dentist for life! Very professional, caring, and thorough!!" "This is the best place to come for dental work." "IF YOU NEED A GREAT DENTIST, HANDS DOWN THIS IS THE PLACE TO COME!" "I am happy to have made the move." Sunrise Dental of Renton is a leading family dental practice offering advanced, state-of-the-art care for patients in and around Renton, WA. Located on NE 12th Street, Sunrise Dental of Renton offers complete dental care for patients of all ages, including routine checkups and other general dentistry care, root canals, crowns and bridges, dentures and advanced oral surgery procedures, as well as a complete array of cosmetic dentistry treatments and procedures, including professional teeth whitening and natural-looking veneers. 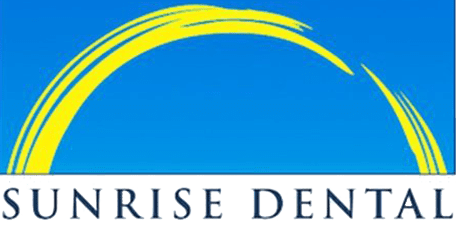 Sunrise Dental of Renton is a full-service dentistry practice committed to helping every patient get the most appropriate care based on the patient’s individual needs and treatment goals for optimal oral health at every stage of life. Dr. Min Choi, D.D.S., is committed to providing compassionate care tailored to each patient’s needs for optimal oral health and a beautiful, healthy smile. The practice features state-of-the-art technology and a calm, relaxing environment aimed at helping patients feel confident and comfortable during treatment. New patients are welcome, and the practice accepts most major dental insurance plans. At Sunrise Dental of Renton, we are dedicated to our patients' dental health. We accept most PPO insurances to make sure that all of our patients are covered. If your insurance is not listed or if you have any questions, please call our office to see how we can partner with you. "Great dentist and staff. They were gentle, kind and professional. The office was clean and state of the art equipment. I will return." "I have been getting my dental care at Sunrise Dental for several years. The employees are always friendly and accommodating." "I very much dislike getting drilled on just as same as the next person, but coming here has made my hatred for dentistry fade away!" "I have been going to this dental office for several years, both myself and my family and we have ALWAYS received EXCELLENT service. I truly recommend Sunrise Dental." "I'm a picky person, and the care I received at Sunrise Dental amazed me. They really care about you there and did an excellent job cleaning my teeth." "Sunrise Dental in Renton, WA makes going to the dentist easy. They are punctual, efficient, skilled, and caring. Sunrise in Renton deserves to be recognized."